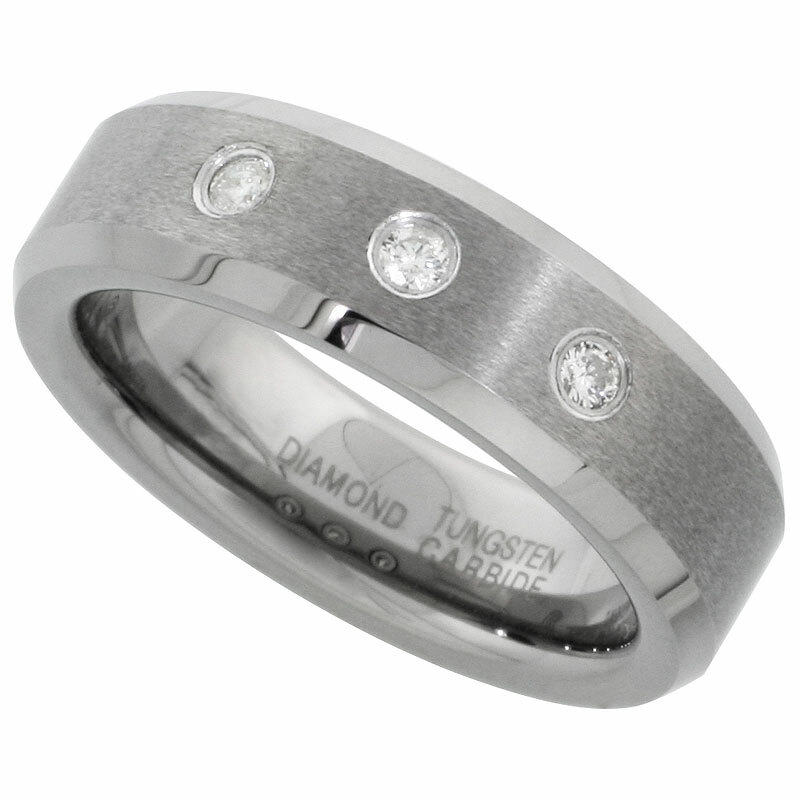 The .065 carat brilliant-cut diamond in our tungsten carbide wedding ring is brighter and larger than a lot of comparable tungsten rings, yet we price them less than most. This tungsten ring is cobalt-free to avoid allergies. Carbide makes it scratch-resistant. Brushed finish with bevel edges. An excellent Unisex ring. The .12 total carat brilliant-cut diamonds in our tungsten carbide wedding ring are brighter and larger than a lot of comparable tungsten rings, yet we price them less than most. This tungsten ring is cobalt-free to avoid allergies. Carbide makes it scratch-resistant. Brushed finish with bevel edges. An excellent Unisex ring. 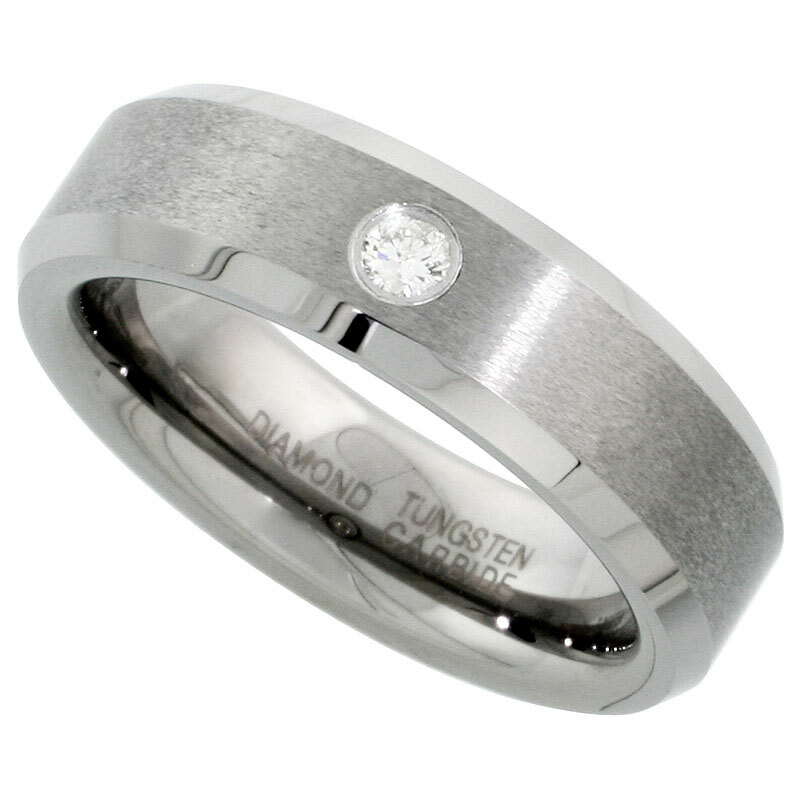 The .072 carat brilliant-cut diamond in our tungsten carbide wedding ring is brighter and larger than a lot of comparable tungsten rings, yet we price them less than most. 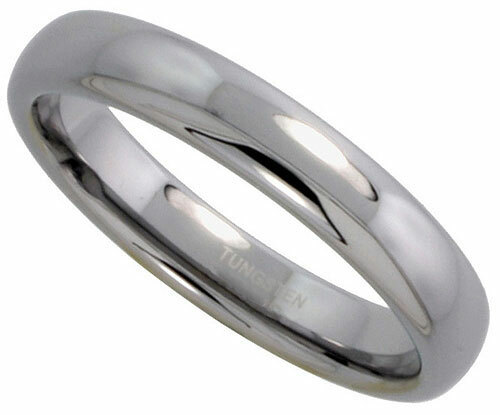 This tungsten ring is cobalt-free to avoid allergies. Carbide makes it scratch-resistant. Brushed finish with bevel edges. An excellent Unisex ring. 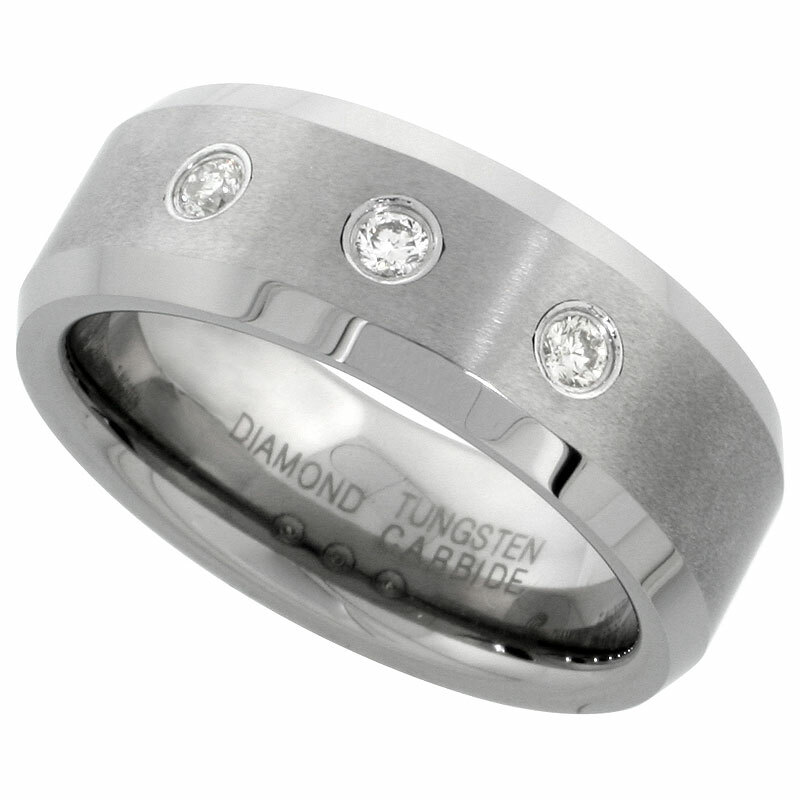 The .22 total carat brilliant-cut diamonds in our tungsten carbide wedding ring are brighter and larger than a lot of comparable tungsten rings, yet we price them less than most. 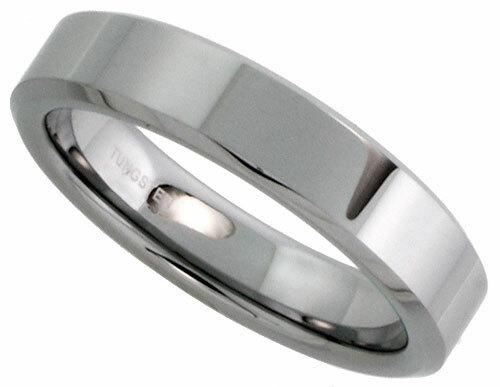 This tungsten ring is cobalt-free to avoid allergies. Carbide makes it scratch-resistant. Brushed finish with bevel edges. An excellent Unisex ring. Ring sizes 5-9.5 available - yes, half sizes are available. This ring can not be re-sized - be sure to order your correct ring size. Ring sizes 5-9.5 available - yes, half sizes are available. This ring can not be re-sized - be sure to order your correct ring size. Ring sizes 8-13 available - yes, half sizes are available. This ring can not be re-sized - be sure to order your correct ring size. Ring sizes 8-13 available - yes, half sizes are available. This ring can not be re-sized - be sure to order your correct ring size. Read this before you buy! Read this before you buy! Read this before you buy! Read this before you buy! 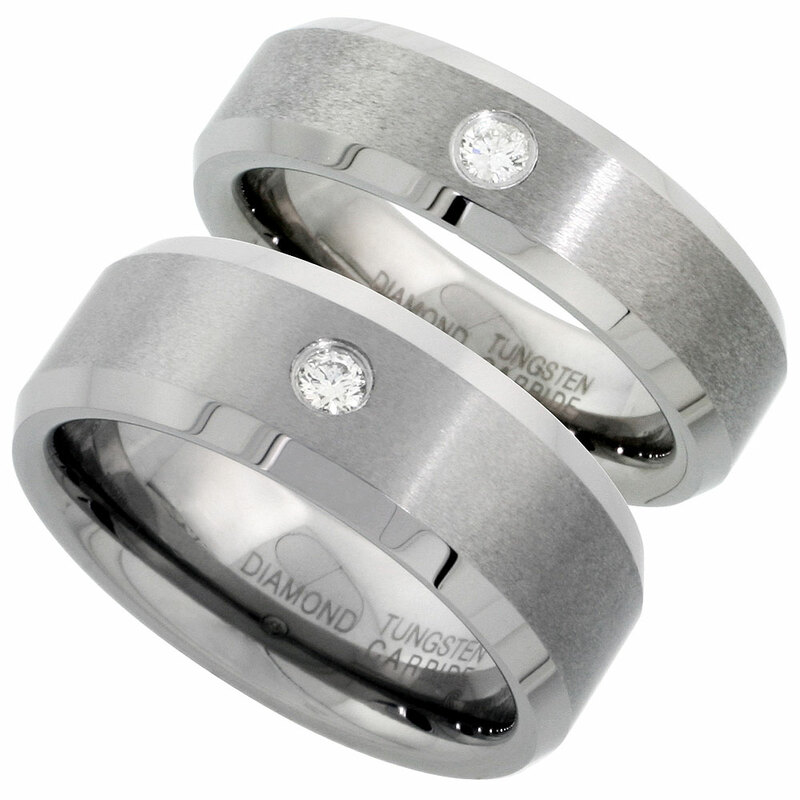 Order our Tungsten Carbide Diamond Wedding Bands in 2-Ring Sets and Save! 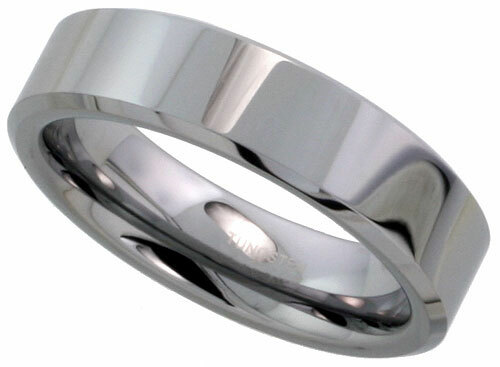 This high-polish finish comfort-fit Tungsten Carbide domed wedding ring is available in 4mm and 6mm widths. This tungsten ring is cobalt-free to avoid allergies. Carbide makes it scratch-resistant. Brushed finish with bevel edges. An excellent Unisex ring. 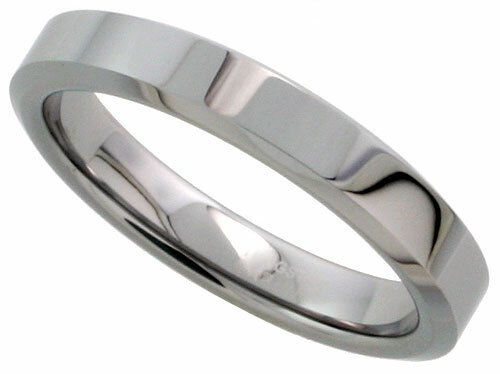 This high-polish finish comfort-fit Tungsten Carbide flat with bevel edges wedding ring is available in 4mm, 5mm, 6mm and 8mm widths. This tungsten ring is cobalt-free to avoid allergies. Carbide makes it scratch-resistant. Brushed finish with bevel edges. An excellent Unisex ring. 4mm (5/32") wide is available in sizes 5-12 - yes, half sizes are available. This ring can not be re-sized - be sure to order your correct ring size. 4mm (5/32"), 5mm (3/16") and 6mm (1/4") widths are available in sizes 5-12 - yes, half sizes are available. This ring can not be re-sized - be sure to order your correct ring size. 6mm (1/4") wide is available in sizes 5-12 - yes, half sizes are available. This ring can not be re-sized - be sure to order your correct ring size. 8mm (5/16") wide is available in sizes 8-15 - yes, half sizes are available. This ring can not be re-sized - be sure to order your correct ring size. Read this before you buy! Read this before you buy! Tungsten Carbide Black Wedding Bands..
8mm (5/16") wide Black-finish comfort-fit Tungsten Carbide domed wedding band with brushed stripe center. Cobalt-free. Carbide makes it scratch-resistant. 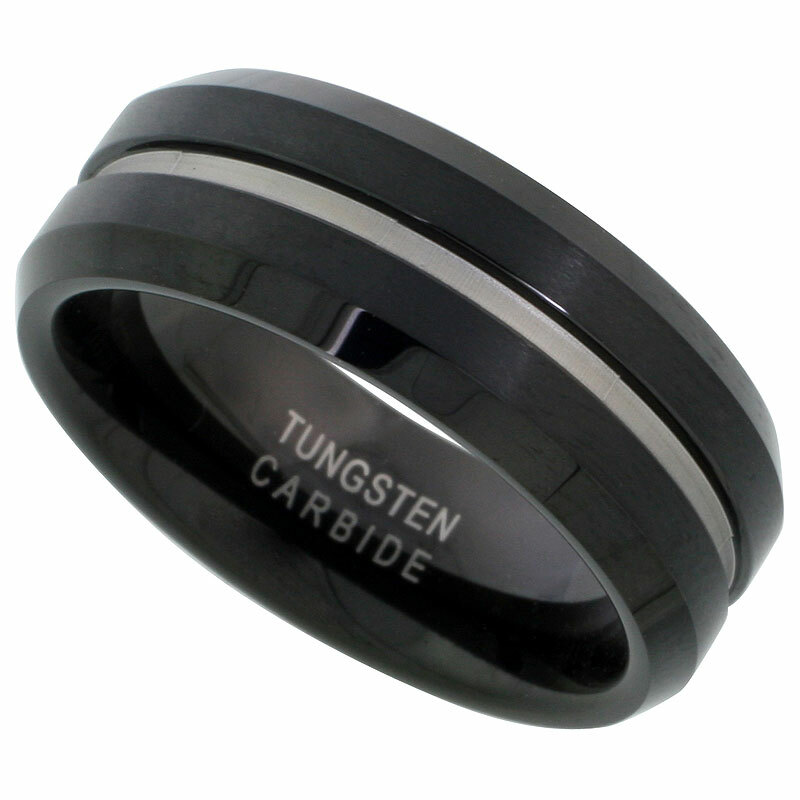 8mm (5/16") wide Black-finish comfort-fit Tungsten Carbide domed wedding band with polished edges. Cobalt-free. Carbide makes it scratch-resistant. 8mm (5/16") wide Black-finish comfort-fit Tungsten Carbide flat wedding band with two brushed stripes and bevel edges. Cobalt-free. Carbide makes it scratch-resistant. 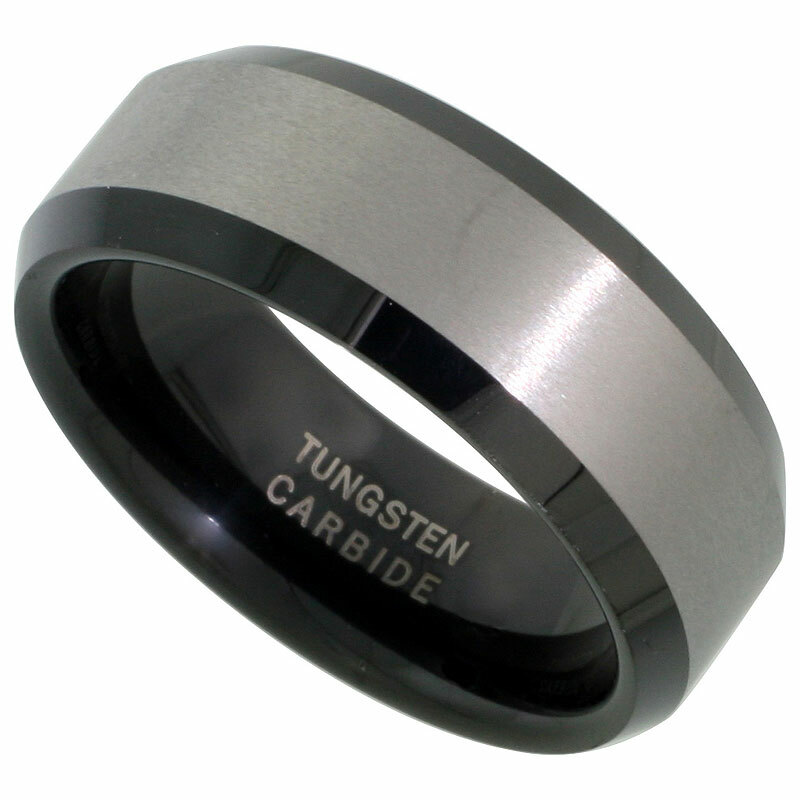 8mm (5/16") wide Black-finish comfort-fit Tungsten Carbide flat wedding band with brushed center and bevel edges. Cobalt-free. Carbide makes it scratch-resistant. Ring sizes 7-14 available - yes, half sizes are available. This ring can not be re-sized - be sure to order your correct ring size. Ring sizes 7-14 available - yes, half sizes are available. This ring can not be re-sized - be sure to order your correct ring size. Ring sizes 7-14 available - yes, half sizes are available. This ring can not be re-sized - be sure to order your correct ring size. Ring sizes 7-14 available - yes, half sizes are available. This ring can not be re-sized - be sure to order your correct ring size. 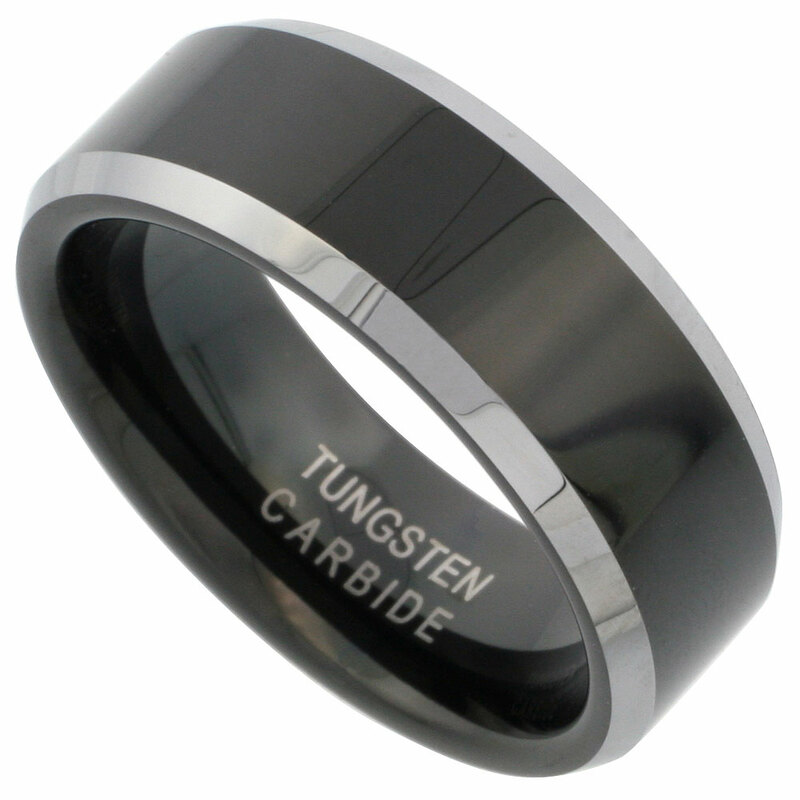 8mm (5/16") wide Black-finish comfort-fit Tungsten Carbide flat wedding ring with black center and bevel edges. Cobalt-free. Carbide makes it scratch-resistant. 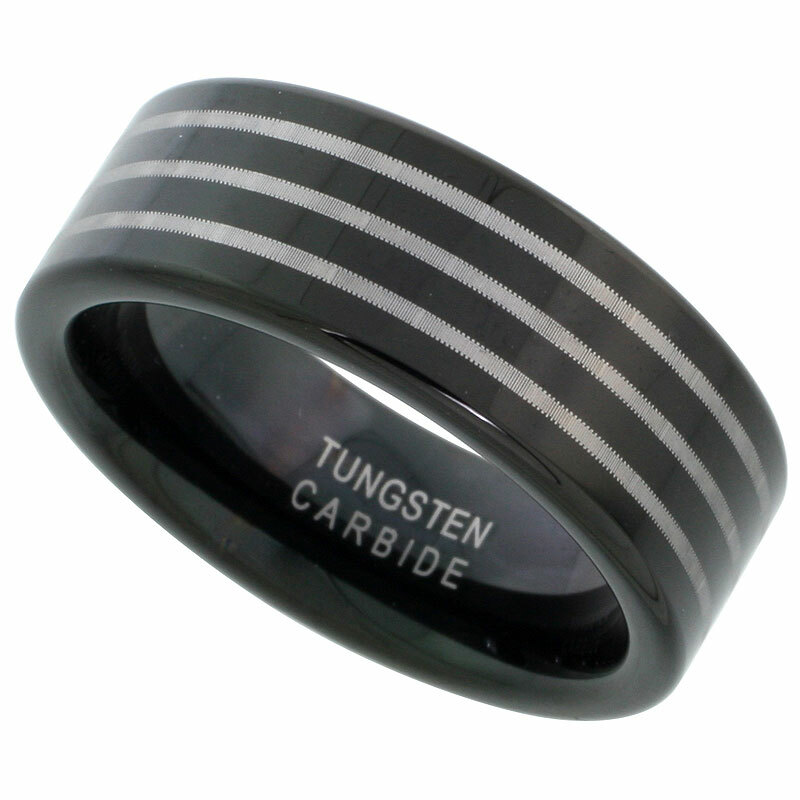 8mm (5/16") wide Black-finish comfort-fit Tungsten Carbide flat wedding ring with 3 center stripes. Cobalt-free. Carbide makes it scratch-resistant. 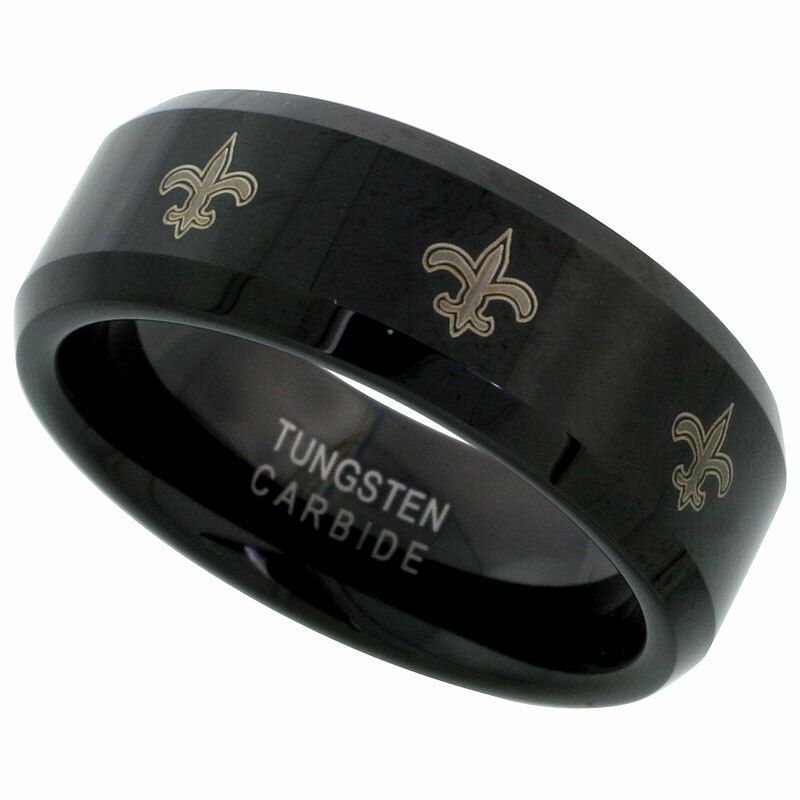 8mm (5/16") wide Black-finish comfort-fit Tungsten Carbide flat wedding ring with Fleur-de-Leis pattern and bevel edges. Cobalt-free. Carbide makes it scratch-resistant. 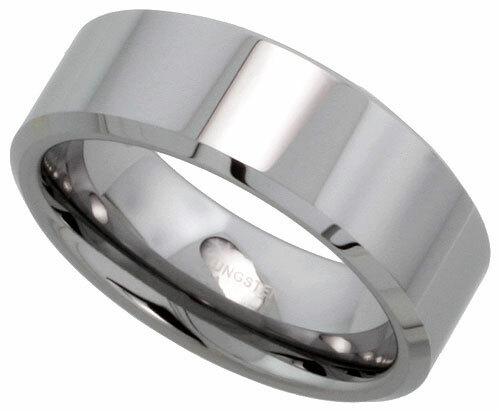 8mm (5/16") wide Black-finish comfort-fit Tungsten Carbide flat wedding ring with grooved center and bevel edges. Cobalt-free. Carbide makes it scratch-resistant.